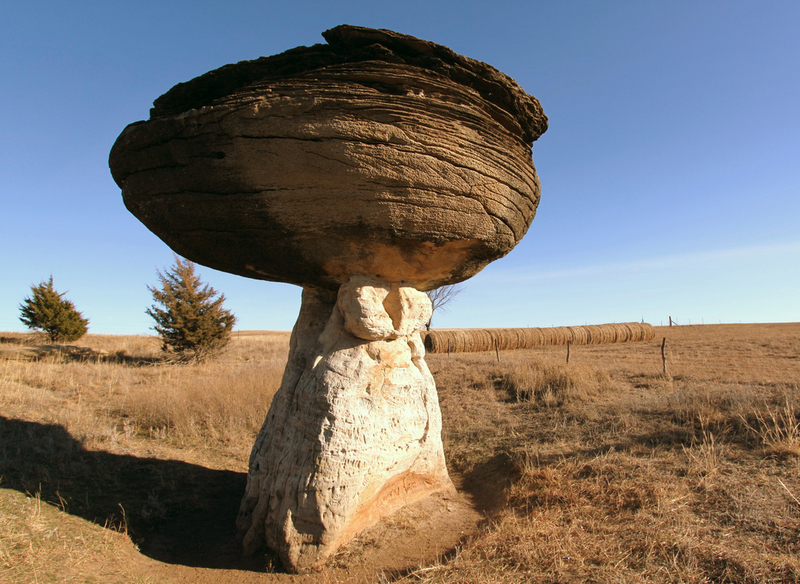 Mushroom Rock State Park; Ellsworth County, Kansas. Photo by Vincent Parsons/Flickr (Noncommercial Use Permitted with Attribution). Mushroom Rock State Park is the smallest state park in Kansas (only 5 acres), but is one of the most unique. Unusual rock formations resemble giant mushrooms on the horizon, remains of beach sands and sediments of the Cretaceous Period (144 to 66 million years ago). The rocks served as landmarks for Native Americans and early pioneers such as John C. Fremont and Kit Carson. 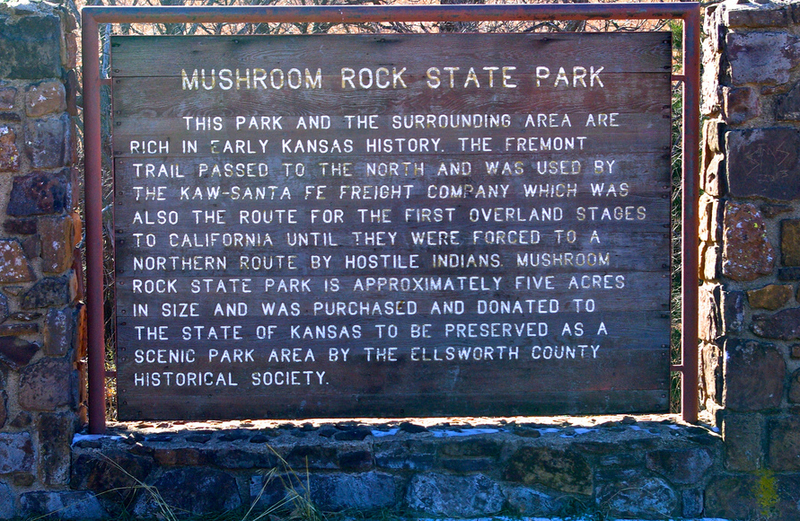 Sign at Mushroom Rock State Park; Kansas Photo by Gallopingphotog/Flickr (noncommercial use permitted with attribution).